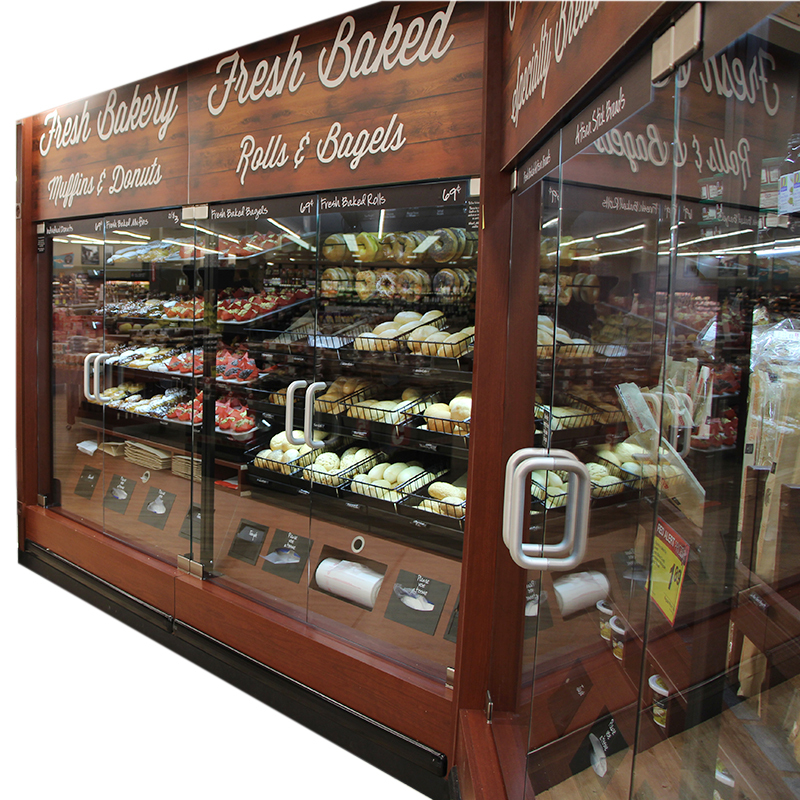 Bakery and pastry case with wood finish for an artisan feel that ties in with existing fixtures in the department. Create a bakery case that can hold multiple bakery items (donuts, pastries, bagels, and bread) with a high end feel. Needs to be well lit and provide ample space for inventory. Needs to be easily shopped by consumers. 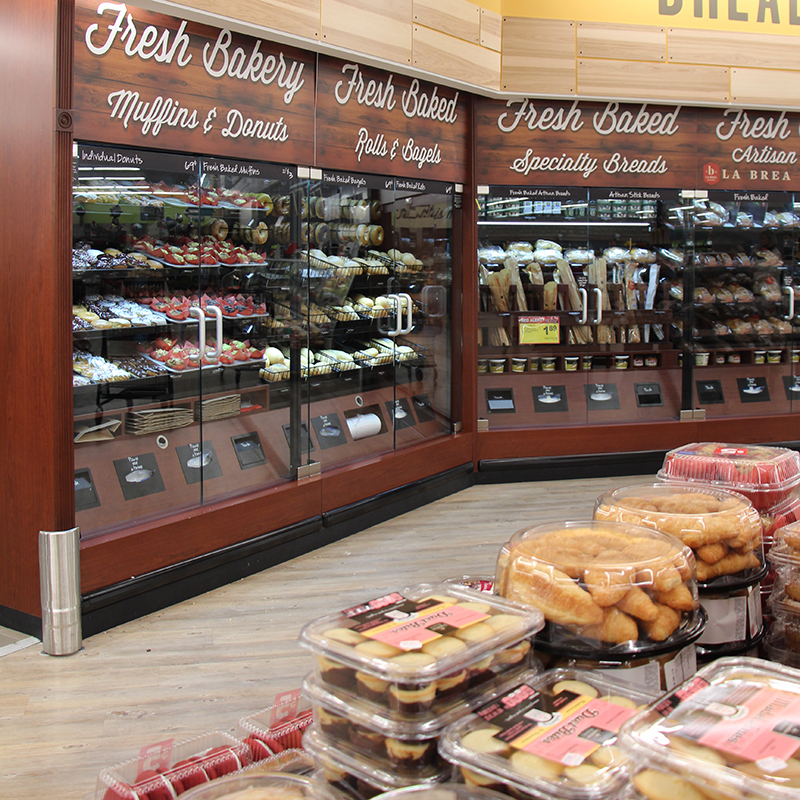 Bakery case provides ample space for multiple bakery items to be displayed with easy accessibility. Interior display spaces are adjustable to accommodate multiple product types and sizes. 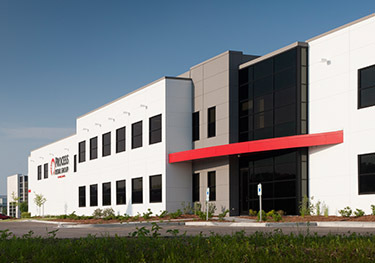 Design makes it more efficient for personnel to stock and consumers to shop. All surfaces area easily cleaned. Display materials blended with the look of the store and the overall versatility allowed for the display of multiple product types, quantities and sizes. Easily shopped by consumers and easily cleaned by associated. Bakery case lit with LED lights to enhance to look of the bakery items. 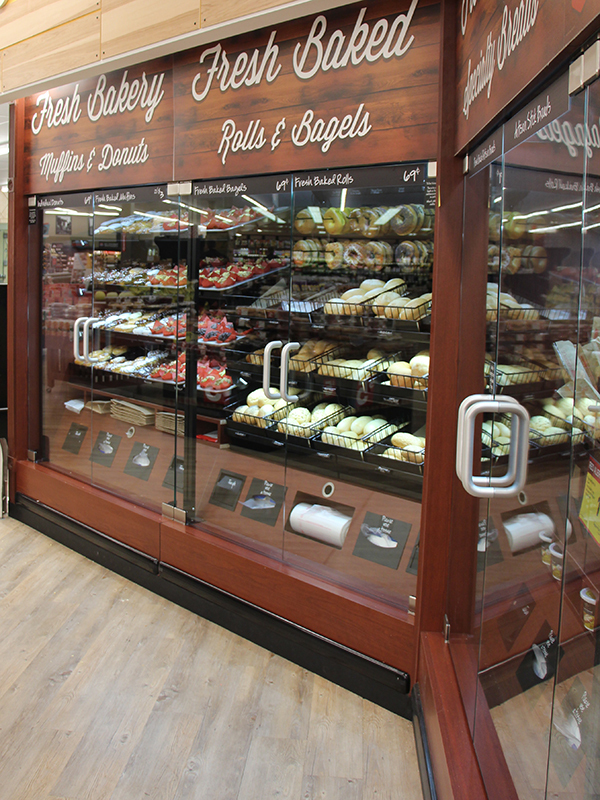 Oak wood finish gave the bakery case a high-end, artisan feel. Multiple interior space configurations (baskets, trays, etc.) allowed for the display of many products. Multiple packaging options were provided directly below the bakery selections. The bakery case has become the focal point of the department and as a result have been ordered for additional stores.